During Sony’s first State of Play livestream, several VR titles were announced for PSVR including a Five Nights at Freddy’s title. Known simply as “Five Nights at Freddy’s VR: Help Wanted” the game will be releasing to PSVR sometime later this spring. 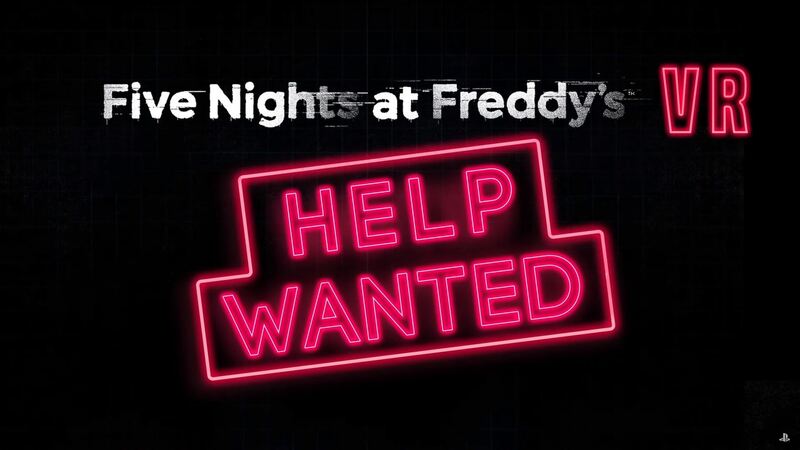 A new teaser trailer for Five Nights at Freddy's VR: Help Wanted debuted during Sony's first State of Play livestream. The teaser trailer for Five Nights at Freddy’s VR: Help Wantedshown during Sony’s State of Play livestream is quite brief. In it, gamers can see several familiar characters from the Five Nights at Freddy’s series including Chica, Bonnie, and Freddy Fazbear himself. Seeing them up close and personal from a VR standpoint is certainly chilling, and should add to the overall intensity of the jump scares. On the “Coming Soon” screen, a 2019 copyright from creator Scott Cawthon can be seen at the bottom, while State of Play later confirms that the game will be releasing in Spring of 2019. As of the time of this writing, no concrete release date for Five Nights at Freddy’s VR: Help Wanted has been unveiled. Meanwhile, Steel Wool Studios and Lionsgate both appear to be on board with Steel Wool lending a hand in development, and Lionsgate Games in publishing. After scoping out the teaser for Five Nights at Freddy’s VR: Help Wanted, what are your thoughts? Are you excited to see so many PSVR games announced during Sony’s State of Play livestream, or are VR horror games not really your thing? Let us know down in the comments below!